KNOXVILLE, Tenn. (AP) -- While Alabama's penchant for playing just well enough to win may not flame the passions of fans or poll voters, it's effective enough to grab an opposing coach's attention. The seventh-ranked Crimson Tide (7-0, 4-0 Southeastern Conference) have gradually inched up in the polls with uninspiring victories over the likes of Bowling Green (21-7) and North Carolina State (24-19). But Alabama is also the only team to beat Southern Mississippi (20-10), currently ranked No. 24. The Tide didn't play down to their level of competition last week, putting together their most complete game in a 37-0 defeat of Mississippi. The sixth-ranked Volunteers (4-1, 2-1) will be trying to beat Alabama in Knoxville for the first time since 1984 when the rivals meet for the 79th time Saturday. Fulmer said Alabama's formula for doing just enough to win is simple. Fulmer also noted that Alabama generally keeps the ball most of a game. The Tide has had the ball an average of 34 1/2 minutes a game, and three times has kept it for more than 10 minutes of the fourth quarter. "They just don't get the number of points and chunks of yards, but that's a way to win football games if your defense is good enough,'' Fulmer said. Alabama's defense is good enough. 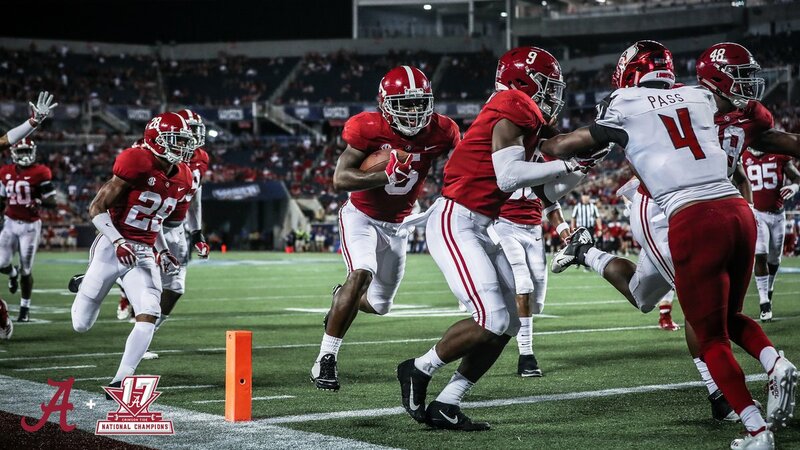 The Tide leads the SEC and are fourth in the nation on total defense, giving up an average of 207 yards a game. Fulmer said new Alabama defensive coordinator Mike Dubose has instituted a slightly more aggressive style of play, with more people close to the line of scrimmage. "They're very big, very fast,'' he said. The Vols ended a nine-year non-winning streak against Alabama last year with a 41-14 victory in Birmingham. Tennessee benefited from two big plays, an 80-yard touchdown pass from Peyton Manning to Joey Kent on the first play of the game and a 75-yard scoring run by Jay Graham. Fulmer said the Vols can't depend on that again. But a succession of four-yard runs would do just as well, he said. "I don't really care how we win, as long as we win,'' he said.